There is no denying the fact that the entire world is shifting from the analogue to digital and today, people are also consuming more digital content daily on laptops, mobiles, desktop computers and tablets. Recognizing this, business owners are adopting marketing strategies that can help them to meet the end user needs. 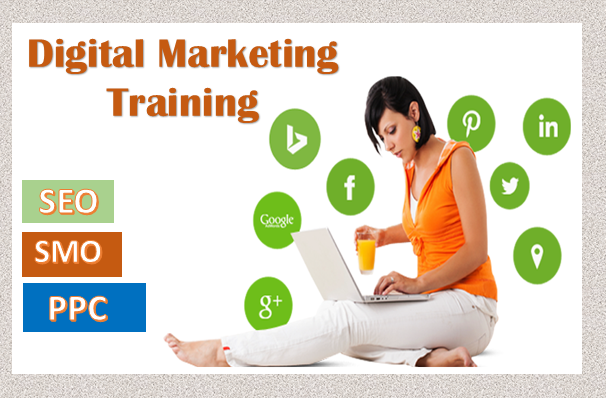 Digital marketing is becoming important in the marketing field and it is considered to be the future of business. The demand for experienced professionals is rapidly growing as they can help the business to keep up with the ever changing technology and help organizations to adopt strategies to engage customers, boost the sales of their products and services. Here in this blog, I will discuss with you how a digital training certification can help you in your career and business. Whether you are a business owner or a manager or student, a digital marketing course can help you to enhance your knowledge in this field and allow you to holistically plan, measure, monitor the strategies to ensure that the goals and objectives are successfully met. (A)Become an in-demand professional: It is predicted that by 2020, there will be more than 150,000 digital jobs and there won’t be enough professionals to fill the requirement. Candidates who will join digital marketing training institute would be able to grab this opportunity for a career and have a good move in life. Since companies still look for valuable skills, a certification in this field will help to take the advantage. (B)Valuable skills: Getting trained will ensure that you are aware of the latest tools, techniques that are highly sought after by the employers for the growth of their business. These skills ultimately lead to career boost whether you are willing to remain in your current organization or want a change in the job. (C)Get highly paid: A recent survey has found that the salaries are increasing faster than the previous five years. It is not just the managerial level that is experiencing a salary surge, but even the entry level packages have become very attractive. If you have a certificate, then you have large skills, then you can negotiate your salary accordingly. If you have your own business and you are planning to implement a digital marketing strategy for expansion and growth, then a certification can help you to gather practical skills and knowledge that will help you to see measureable results in your business. If your knowledge is applied in the right way, then this will help to increase leads, generate higher sales and revenues. •	The course will help you to have a clear understanding of the vital components of the business strategy of the organization. •	Effectively plan, create and manage social media, email marketing and mobile campaigns that help to increase leads and sales. Whether you have a business or you are looking for a lucrative career ahead, a digital marketing certification is the key to your success as it opens up various opportunities before you. A Team That Plays Together, Stays Together and Parties Together!